Is it a “B” sci-fi/horror movie. Following in the footsteps “The Swarm” and “Attack of the Killer Bees”, we have Chinese Killer Hornets. But this is true and happening now.Vespa Mandarinia - the Asian Giant Hornet- measures no less than 5 centimetres, over twice as large as the largest other hornet. And it’s a killer. As big as an adult’s thumb. Yu Yihong in China’s north-western province, was tending his small plot of cabbages and onions when theasian giant hornets struck. 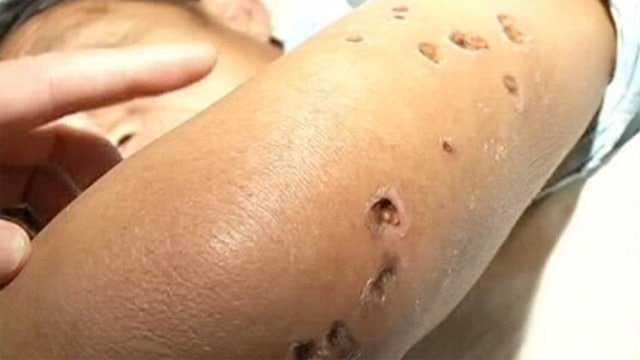 He was attacked and stung and when taken to hospital he had two hornets still in his trousers. The poison causaed his liver and kidneys to fail and he died. His account of his attack, before he died, is horrific. He accidentally trod on a nest of the hornets concealed beneath some corn husks. They swarmed up around him stinging mercilessle and then when he ran a considerable distance away, they refused to let him go and followed him to get their revenge for upsetting their nest. The sting of this species of hornet dissloves human tissue, and kidney failure or anaphalactic shock often follows. Was this a one-off? No. 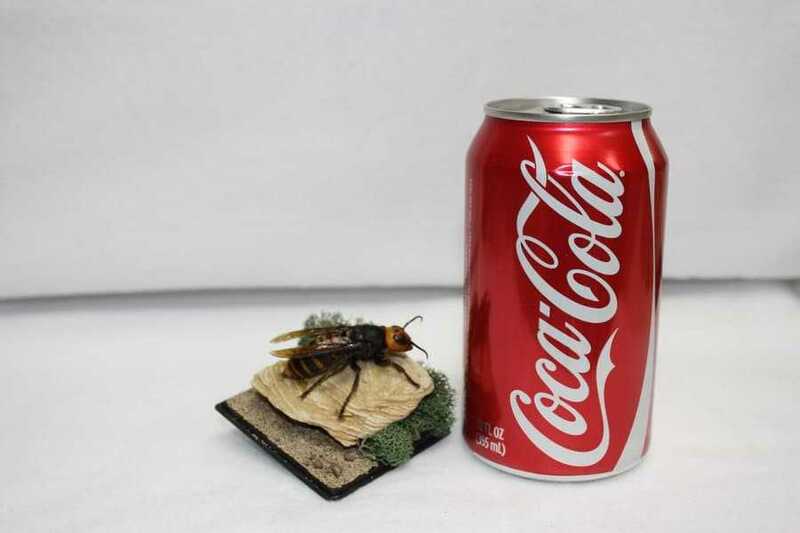 Attacks by the Asian Giant Hornet are becoming more and more common. In China’s Shaanxi province, nearly fifty people have been stung to death in just three months. Hundreds of others have suffred stings and injuries due to this hornet. As with many other woes, the rise of the killer hornets is being blamed on climate change, and a warm winter which allowed many more queens to survive and spread. They can fly much faster than a man can run over a distance; 25mph, and cover 50 miles. Apart from defending their nests they can also be attracted by sweet smells, alcohol or sweat. As word spreads about the killer hornets, roads and schools have been closed, there are large swathes of no-go areas- farms where crops are unattended because of nearby nests. In retaliation, pest control officers go out at night to sighted nests and exterminate them with… yes, you should have guessed it… flamethrowers! But it seems they are fighting a losing battle and the problem is spreading. 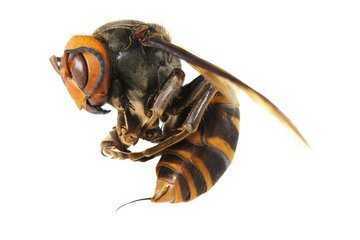 While it may seem not feasible for the Asian Giant Hornet to spread to Europe, its smaller cousin, Vespa Velutina the (non-giant) Asian Hornet has already spread from Korea to France in 2003 and has been responsible for a number of deaths. It has since spread to Spain Belgium and Portugal. Watch out- this looks like a killer hornet that isn’t going to buzz off any time soon. In one close shave, a quick-thinking worker used his can of butane lighter refil and a lighter to creata a mini flamethrower and keep the hornets at bay.